Hrithik Roshan is known as one of the most hardworking actors in the industry. But he does very few films which shows he is picky about his choices. What else can explain so few movies since he made his debut in 2000? In Mohenjo Daro he has teamed up with his Jodhaa Akbar director Ashutosh Gowariker once again. They created magic back in 2008, can they recreate the same magic 8 years later? The insipid promos have kept the buzz very low and the choice of someone like Pooja Hegde hasn’t exactly made people crazy. Without even talking about the clash with Rustom, let’s get to the movie. Does Mohenjo Daro work as a movie? Time to find out. Story: Set amid the ancient Indus Valley civilization circa 2016 B.C.E, an indigo farmer from Amri, Sindh named Sarman (Hrithik Roshan) travels upriver to the largest city, Mohenjo-daro, where during a street mishap he saves the life of a beautiful woman named Chaani (Pooja Hegde) who as “The Chosen One” in service to Sindhu Ma, the goddess of the river which is the centre of their culture, is “the symbol of Mother Sindhu’s grace and blessing.” But Sarman soon falls afoul of the politician Maham (Kabir Bedi) and his son Moonja (Arunoday Singh) who are seizing power and starting to rule Mohenjo Daro as an empire. To win Chaani, Sarman must defeat Maham and rouse the people to save their city. 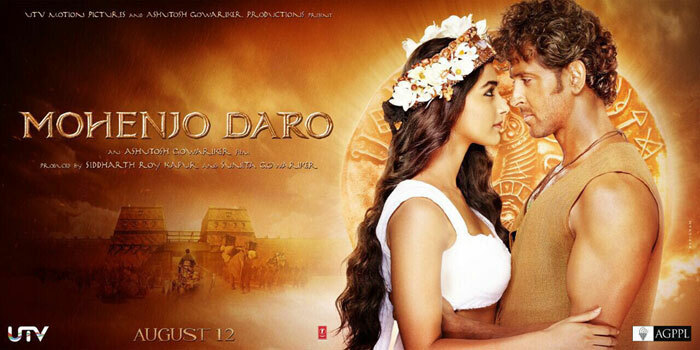 Mohenjo Daro Review: First things first, Mohenjo Daro is not a historical drama or a historical romance. It is a love story which happens to be a fantasy and has the setting of the Indus valley civilization as its background. Ashutosh Gowariker does a neat job of placing the love story in that era but the movie doesn’t quite come together in the end. It all feels a bit disjointed where we get to see snippets of life from that era for a few scenes and then a cheesy love story for the next few scenes and the cycle continues. There’s also the terrible visual effects work in the climax. How did Gowariker allow it to appear in the final movie? It is painful to see that Gowariker has forgotten to make his brand of epic sagas after Jodha Akbar. Mohenjo Daro lacks the deft touch of a Swades or a Lagaan. We don’t want to play historical critics and we are not going to comment about the historical accuracies or inaccuracies. The editing of Mohenjo Daro is snappier than Gowariker’s past movies but it still ends up being about 10-15 mins too long. The production design and costume design all look huge in scale and the crocodile scene doesn’t have the same impact as the makers intended. The visual effects of Mohenjo Daro is one of the main drawbacks of the movie. It is just too shabby. What were the makers thinking allowing this to be in the final version? Even Indian cartoon network shows have better visual effects. The music of Mohenjo Daro, even if it is by AR Rahman, is not noteworthy. A younger music director could have infused fresher tones into the movie. 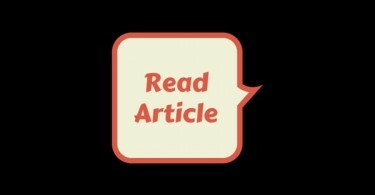 Acting: Hrithik Roshan is a good actor, we all know that. But why then does he keep choosing movies which don’t give his acting range the full potential? He is fine in Mohenjo Daro and is perfect as someone who would resemble Hrithik Roshan in 2016 BCE. He acts, and fights and even dances like only he can. Pooja Hegde is unfortunately a disappointment. She feels miscast for the role even though she seems talented. She is expressive, considering this is her debut movie. Kabir Bedi is menacing and is perfectly cast as the main antagonist. Arunoday Singh looks the part but doesn’t act the part. Conclusion: Mohenjo Daro feels like a big let off because it rues the scale that it tries to showcase. A movie based in the Indus valley civilization definitely deserved to be more fully thought out, but Mohenjo Daro comes across as a plain love story. Don’t go in as a history professor, but go in as a casual audience member who is getting to see cool sets and naturally lit studios dressed up as Mohenjo Daro. Mohenjo Daro is far from a bad film, it is in fact a good film but we can’t help but feel sad about the fact that it could have been a huge Magnum Opus. That leaves a sour taste. If you go in expecting nothing, then you might even love Mohenjo Daro. For what it’s worth, the movie could be watched once. Mindblowing movie ……4 out of 5 from me …. So it will be flop. Ho gyi flop. Nobody can save it now. 2.5*is the best that it has got.worst movie beleive me.totally dissapointed. Truly aggred abt the visual effect its worst..
As an akki fan i should be happy but as a cinema lover i can’t be. With huge budgets involved movie has to be good as well. Now WOM has to be super strong to break even. Huge loss for the industry. The climax has some of the worst vfx I have ever seen. Almost like Tom and Jerry cartoon. It will be a Flop for Sure……….. It will out from most of the theatres after a week……..
Ha ha ha ha,hrithik fans now it’ll realise.where is @neeraj,who was spreading negativity against DILWALE,FAN?????,ROFL. now kaabil will be blown away from REPUBLIC DAY. now kaabil will be blown away from REPUBLIC DAY,ROFL.